Looking for a fabulous and unique gift idea? 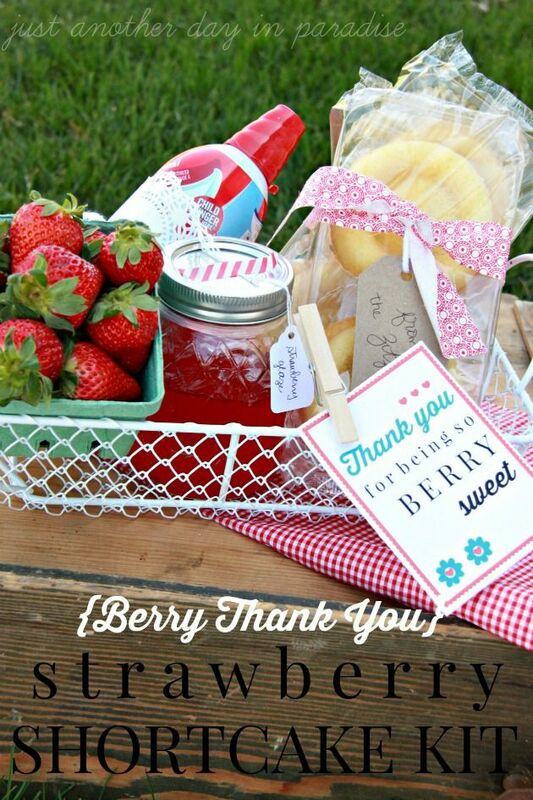 Thirty Handmade Days has you covered with this Strawberry Shortcake Kit Thank You Gift. Get the free printable card as well. This is a lovely summer gift after all....who doesn't love strawberry shortcake? ?